Here at Russell Corfield Electrical we are always working to come up with helpful solutions for our rural dairy customers. 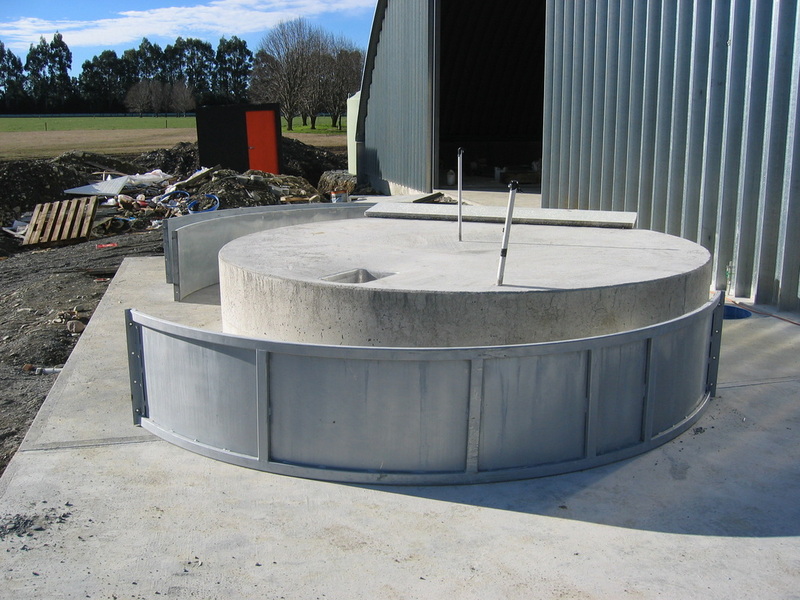 With this in mind we have had manufactured a sectioned circular mould to allow for forming of milk vat stands in both existing and new dairy sheds. 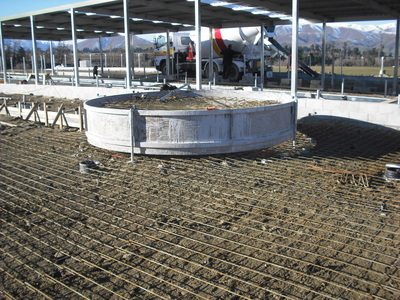 The mould allows for the pouring of a vat stand and pad compliant with Fonterra standards. The mould is manufactured in four easily transportable sections and will form a stand 3.6 metres diameter with a height of 600mm, allowing easy and safe, full access around the vat at ground level. 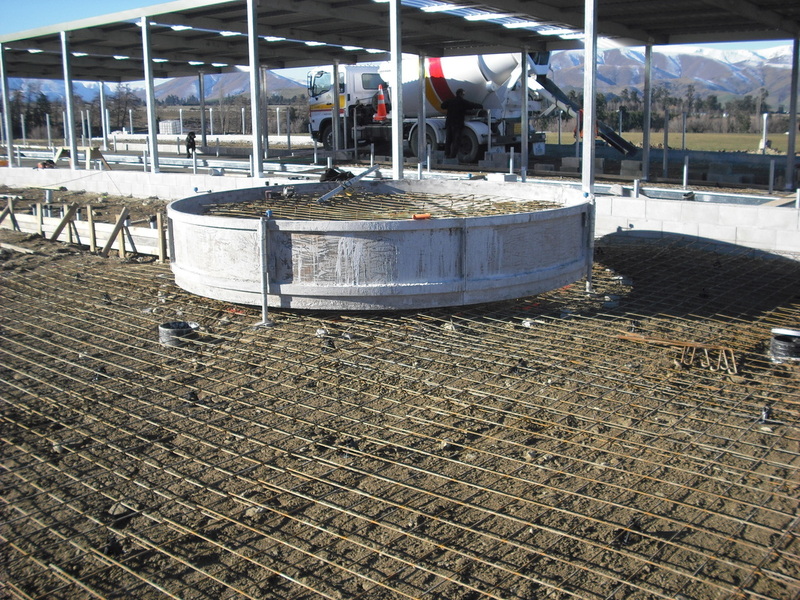 Sufficient space is provided for the installation of electrical conduits/pipework as well as the front drain sink for the removal of the milk from under the milk outlet tap. 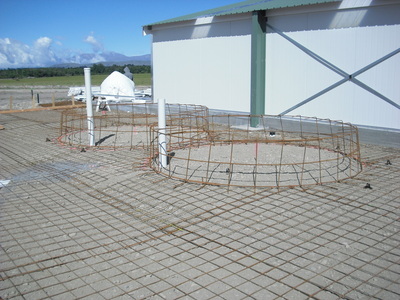 This specific mould design was shown to generate no damage during the Christchurch earthquakes whilst other designs cracked easily and required rebuilding.